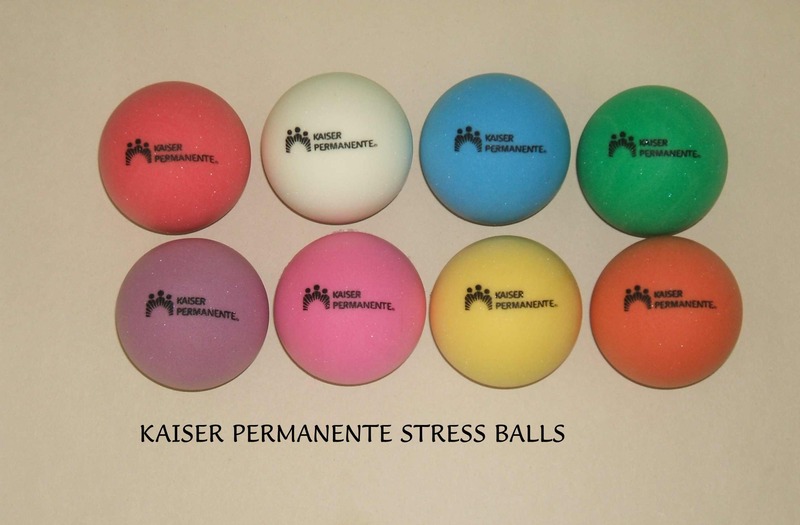 Kaiser Stress Balls @ .49 cents ea. 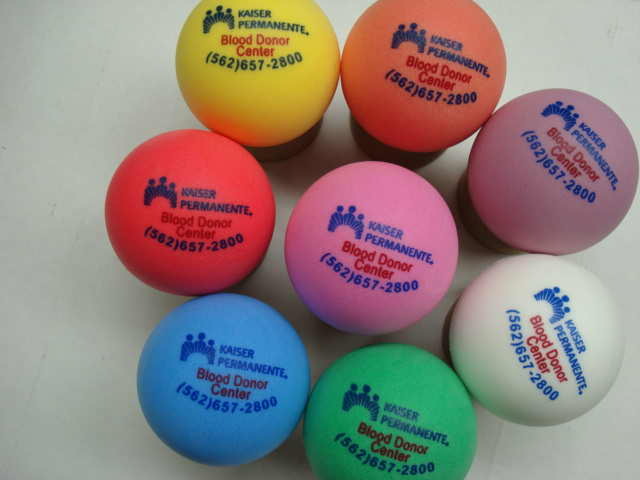 Special Offer- Free Stress Balls to legitimate Kaiser departments (or other legitimate organizations). 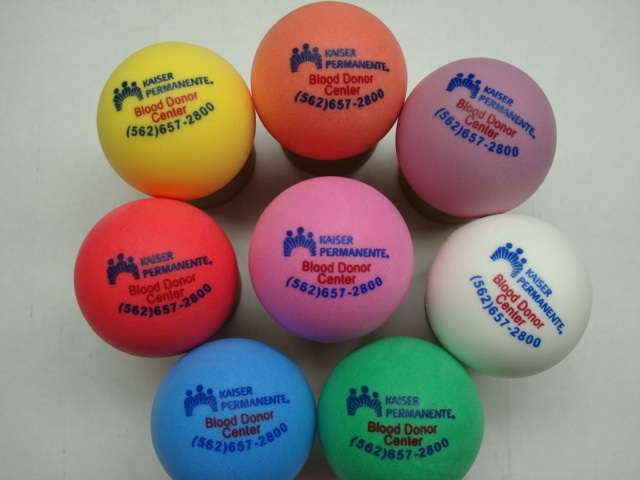 A squeezable, high bounce foam stress ball imprinted with your name, logo or message. Perfect for special events, marketing and trade shows. We feature the lowest prices. PromoBall is 2 and 3/4 inch in diameter (identical to a tennis ball) and is available with a standard foam surface or with a smooth outer coating. PromoBall is used by many health organizations as a stress relief tool, and by tennis centers around the world for safe practice against any wall. PromoBall is a great way to make your next promotion a success! Stressballs are one of the fine things we offer at Promostressball.com. We also offer promotional balls, squishy balls, and promotional stress balls.